What is an Alaska Month to Month Lease Agreement? Alaska Month to Month Lease Agreement: What Is It? A month to month tenancy agreement in Alaska is a legal method of documenting an agreement between a landlord and a tenant. 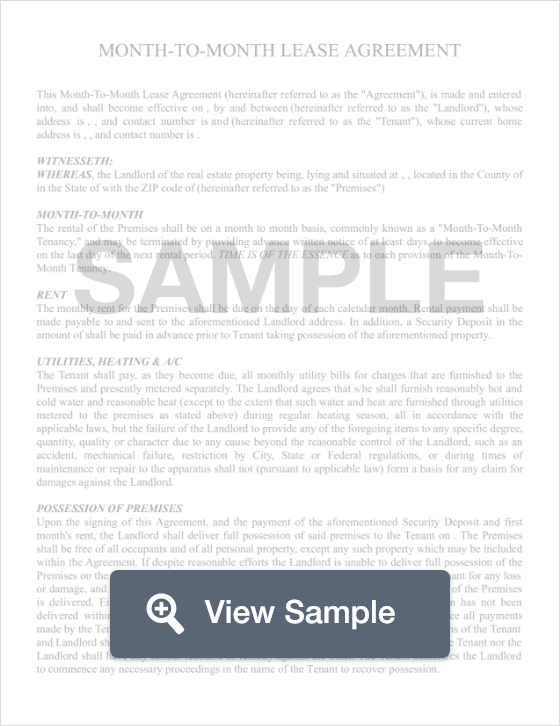 Month to month lease agreements detail the terms of a person’s tenancy for a 30 day period. These agreements will detail various terms of the lease, such as when rent is due, where is it to be paid, and the terms of living in the rental. Although the lease will renew automatically if neither party terminates the agreement, in order to terminate such an agreement, either the landlord or the tenant must terminate the agreement with at least a 30-day notice. According to Alaska tenant laws, one party (either the tenant or the landlord) must notify the other at least 30 days before the lease is set to renew. If the tenant remains in the rental past the lease termination date, Alaska law allows the landlord to pursue damages equal to one and one-half (1.5x) times the actual damages that he or she has incurred.